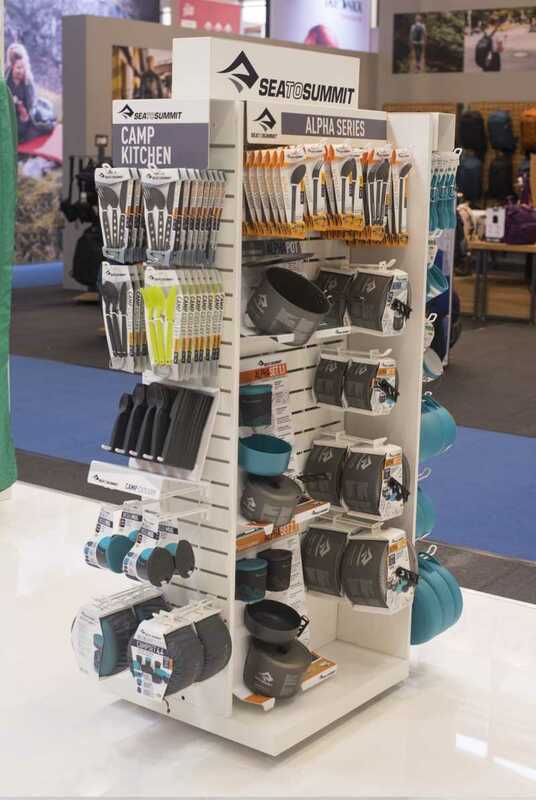 "Gate 8 has been an excellent partner in developing and delivering our completely new Display Program." 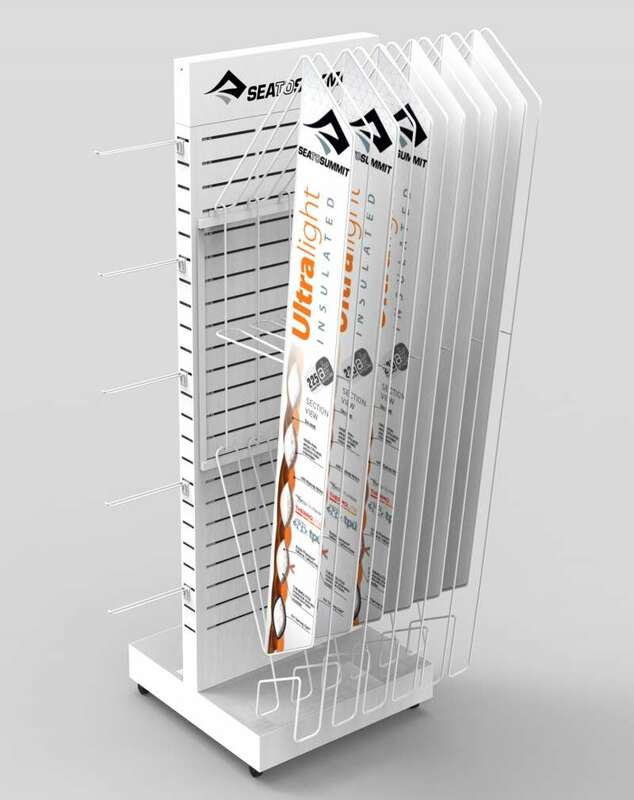 PJ Singh, Design and IP, Sea to Summit Pty Ltd. 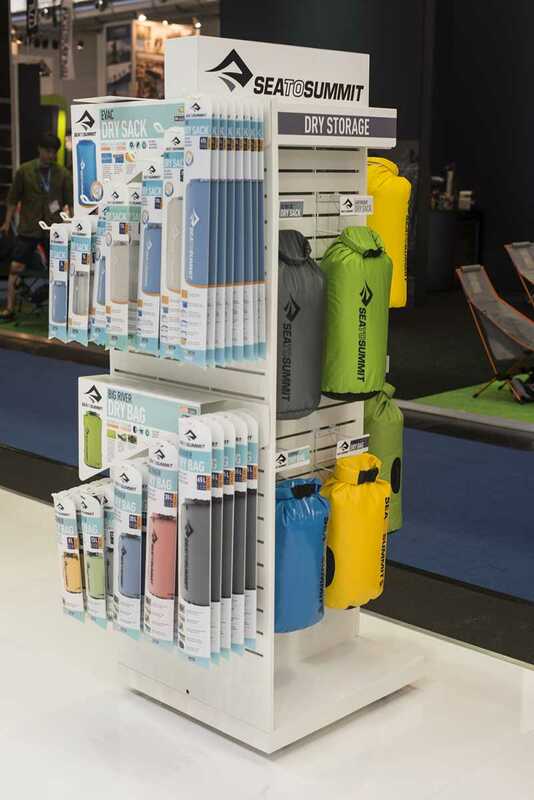 The Modular Display with its variety of custom designed applications provides maximum flexibility to showcase and stock-sell every product of Sea To Summit's wide range of technical performance products. 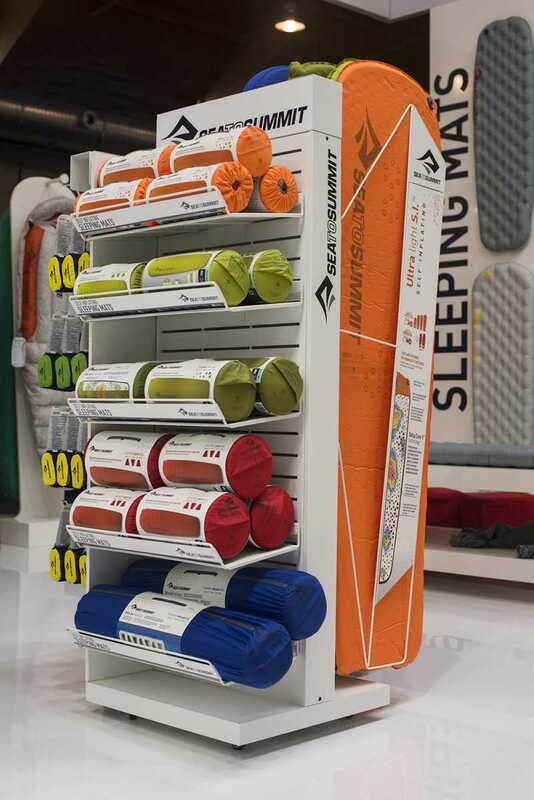 Tailored fixture solutions for each product category enable ideal presentation for the multiple product sizes and shapes while space is used most efficiently and on a very small footprint. 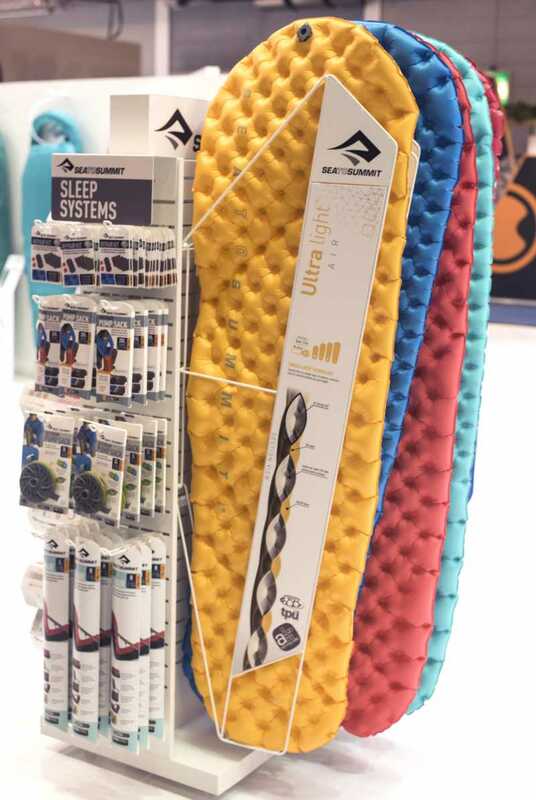 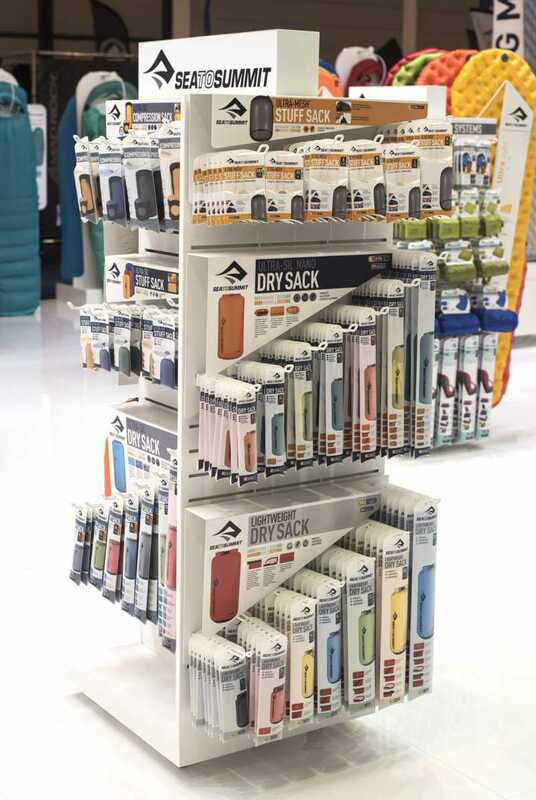 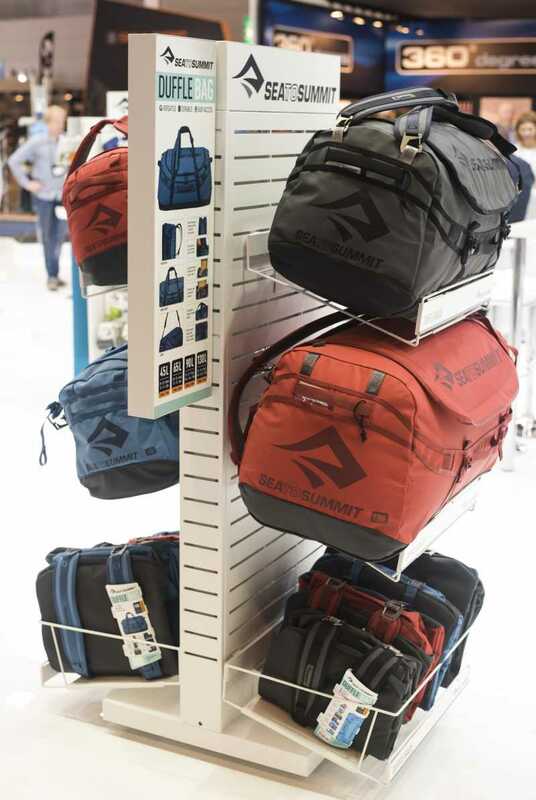 From outdoor cooking utensils, sleeping mats to duffle bags the modular display can be equipped and accessorised to cater for any product group a Sea To Summit retailer may carry. 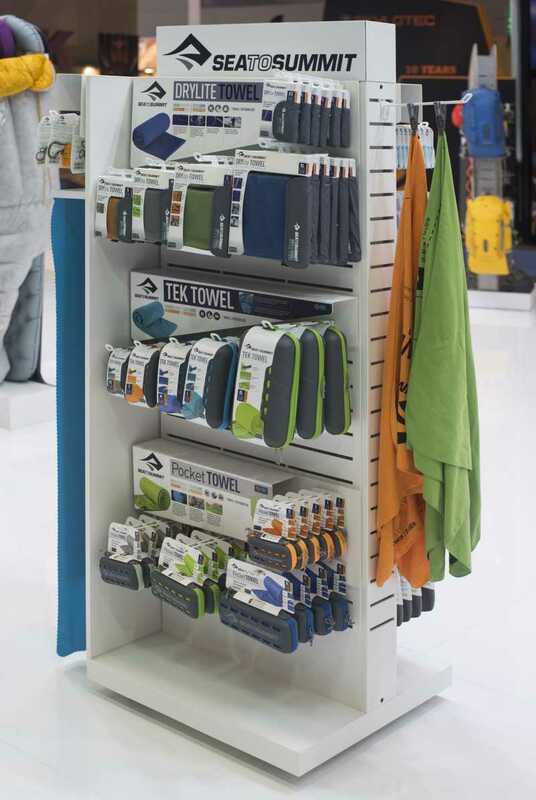 A clever base construction provide the option to change from free-standing 2-sided usage into a 1-sided wall display. 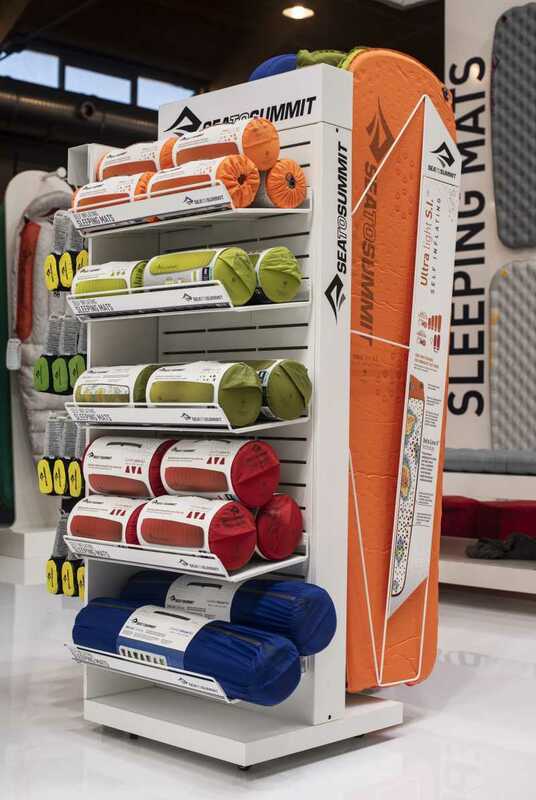 The seamless design allow bay configurations when put next to one another and optional side panels allow configurations on 4 sides of the display. 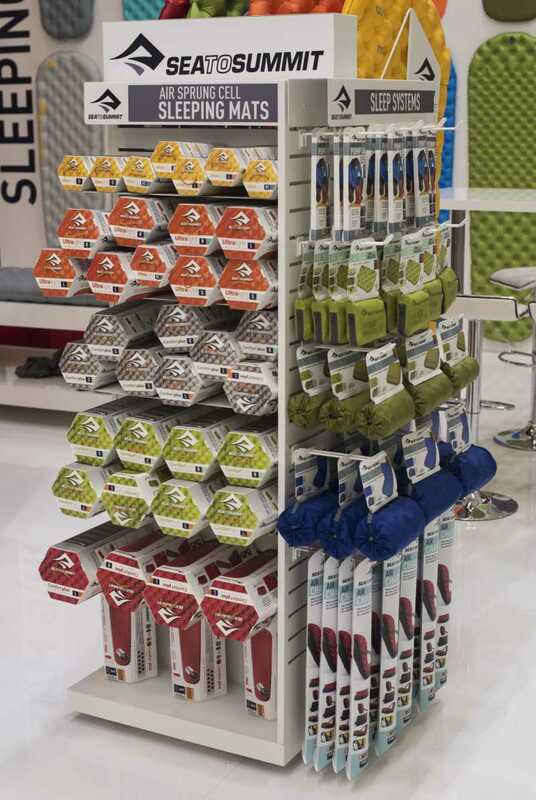 Strategically developed packing units allow distribution of individual parts rather than a bulky "all-in-one" solution. 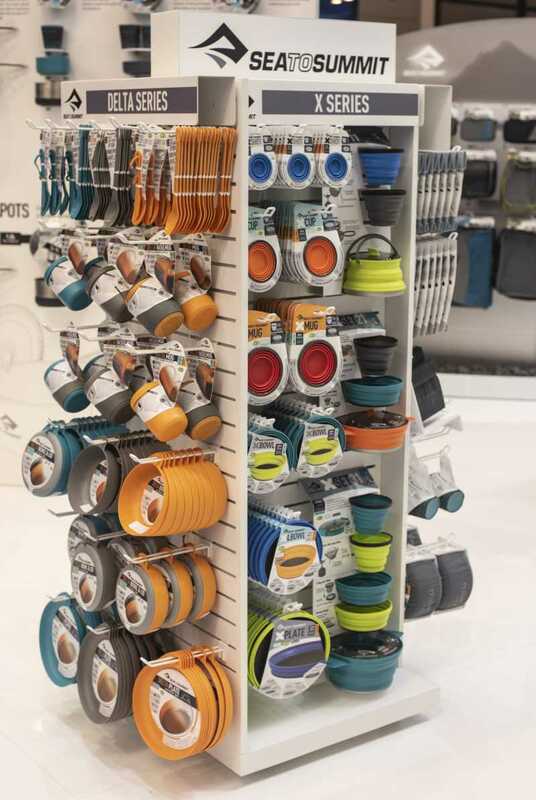 Parts are traceable worldwide through an elaborate barcode system that is applied to each SKU as well as each language variant. 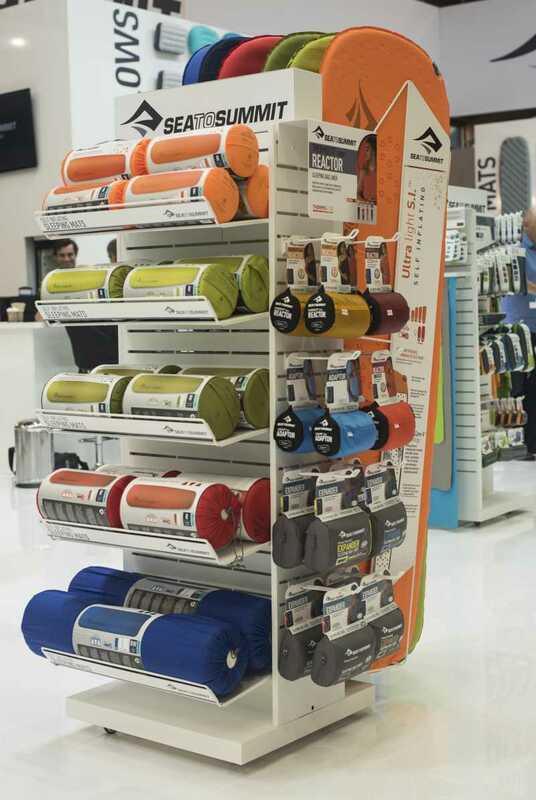 "The team at Gate 8 is resourceful, responsive and easy to communicate with." 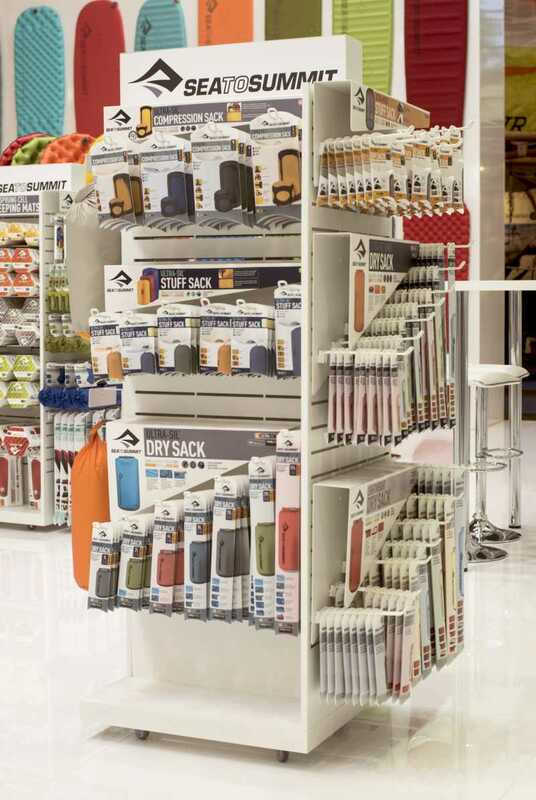 "The Gate 8 team understood our complex requirements and contributed creatively with attention to detail."